Graffiti on an old garage. This is from downtown Reykjavík. This small garage is looking old and tired and the graffiti doesn't make it look any younger. 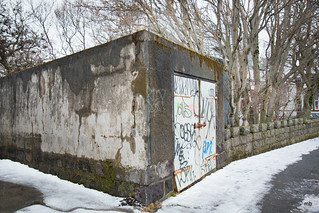 Reykjavík, Iceland in March 2015.